Location: Blackpool, Uk. Destination: Rev Limiter. Please read for important information regarding the iTrader feedback system. We've had the iTrader system in place for some time but people are not using it as it should be. It's apparent that people aren't leaving feedback which means the good traders aren't being seen and the bad ones aren't being highlighted. Below are some clear instructions on how to use the system. The following are some helpful tips on how to make use of the new system to better the site. And to view your own iTrader page go to: https://www.scoobynet.com/itrader.php or click your own rating in any of your posts. The systems interface is very easy to use & is similar to eBay's transaction rating system. To leave feedback for a user simply go to the thread in which the transaction was advertised in and click the sellers iTrader rating. At this time it might be a good idea to copy the thread link for later. 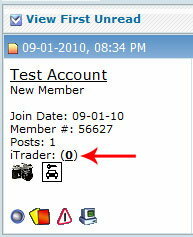 This link will bring you a detailed page of the users iTrader rating. From this page you can click the "Submit Feedback for Username"
On the next page you will be able to input detailed information about the transaction. You will be able to select which party you are in the transaction (Buyer, Seller, Trade) and rate the transaction (Positive, Neutral, Negative). A link to the thread from which the transaction took place will be required. 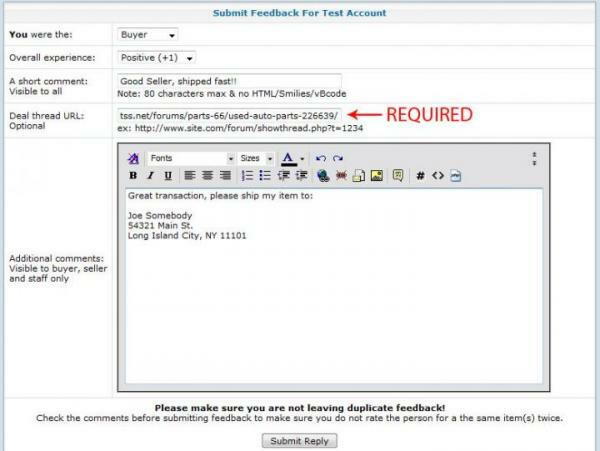 Once you have filled out all the information you can click the "Submit Reply" button to leave your feedback. Please be sure all fields are populated & accurate because you will only have a very limited amount of time to edit your feedback. Once feedback has been given you will have only 5 minutes to make any changes to your reply. This will bring you back to the feedback page where you can modify your feedback. To delete feedback simply check the "Delete this Rating" box and click "Submit Reply"
Whenever someone leaves feedback on your page you will be notified via PM with a link to a page with detailed information on the review. If you should receive any malicious, false, or incorrect feedback via the iTrader system you can report it to the Moderator Staff. 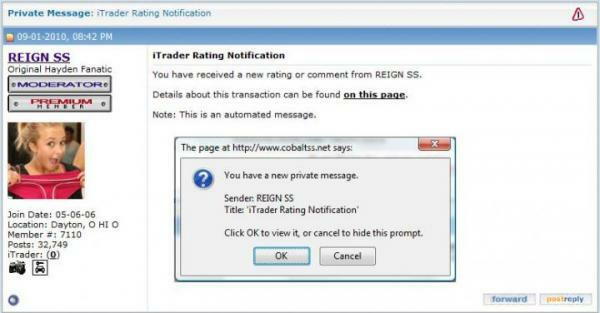 Simply click the "Report Bad Rating" icon ( ) from your iTrader page. Please give as much detail as possible when reporting malicious feedback & we will make every effort to investigate and respond as quickly as possible. I hope you find this walk-through helpful in navigating this useful forum feature. Visit Stu @ Internet Brands's homepage! First world problem - what car should I get?